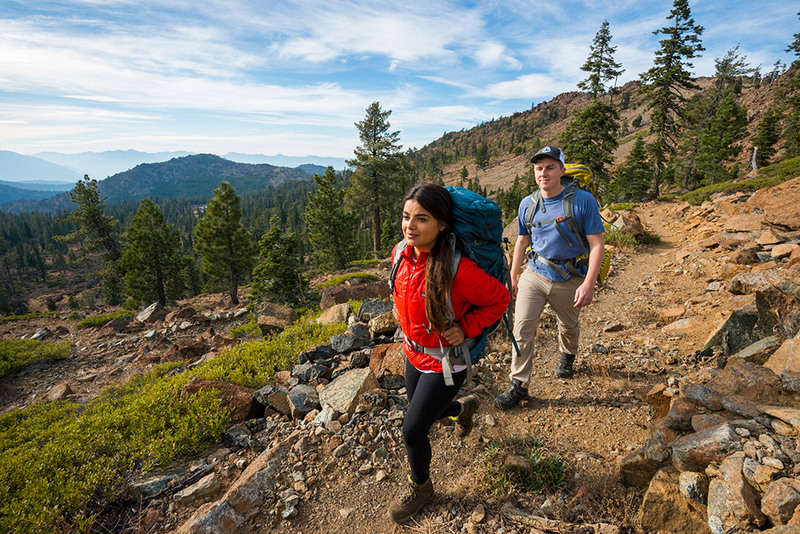 The Trust for Public Land, the Pacific Crest Trail Association, and the U.S. Forest Service have teamed up to close the largest gap in public ownership along this world-famous trek—over 16 square miles of forests, alpine lakes, and lush meadows in the remote Trinity Mountains of Northern California. Lying in one of the wildest areas of California, these 10,000 acres have been owned for decades by the Michigan-California Timber Company, which has cared for their land with a light touch and an eye to preserving the vibrant diversity of life that takes refuge here. Today, the P.C.T. traverses this beautiful landscape through a 10-foot wide easement granting public access to the trail—but not to any of the many alpine lakes or their surrounding lands that are currently under private ownership. With a changing economy, however, these lands are threatened with new ownership and management, and the Trinity Divide partnership is working with the landowner to purchase the entire tract for public use and ownership as wilderness. This will greatly expand recreation access to the entire area, conserve wildlife habitat, protect water quality in four river systems, and guarantee the future of a 30-mile section of the P.C.T.